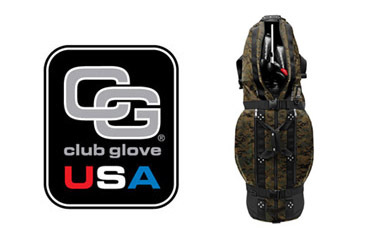 (HUNTINGTON BEACH, CA) – Club Glove® – a worldwide leader in the design and manufacture of premium luggage, travel bags, golf bags, club covers and accessories – announces that a wide range of products from its renowned, Made-in-the-USA collection are now available in a new camouflage colorway. Called “Digital Camo,” this design scheme features a modern camouflage pattern of green, tan and brown, and is offered in select golf and lifestyle pieces. These include the award-winning Last Bag – which was recently honored as one of the game’s “10 Best Innovations” – and the Train Reaction System three-piece ensembles. The latter showcases a patented connection configuration that outsmarts the “Smarte Carte” by creating a perfect center of gravity which drastically reduces the amount of effort needed to pull or push gear. Club Glove’s luggage and travel bags are crafted from extremely durable, water resistant Invista™ CORDURA® nylon fabric that is three times stronger and lasts up to five times longer than standard materials. Preferred by the overwhelming majority of professional golfers and trusted by other top athletes, celebrities and globetrotters, the company’s catalogue is comprised of pieces in a variety of sizes, including smaller options such as Shoulder Bags and Backpacks. The No. 1 golf travel bag brand at all PGA and Champions Tour events as confirmed by Darrell Survey, Club Glove is preferred by more than 90 percent of PGA Tour Players. Selected by six U.S. Ryder Cup teams, the company’s high-end offerings have been a fixture at green grass and off course shops for nearly a decade. More information: http://www.clubglove.com or 800.736.4568. About West Coast Trends, Inc.
Based in Huntington Beach, CA, West Coast Trends Inc. was founded in 1990. A worldwide leader in the design and manufacture of premium luggage, golf travel bags, stand bags, club covers and accessories, its products have been tested and approved by the world’s most demanding travelers, including pilots at all of the major airlines. The overwhelming choice of serious golfers, the company’s Club Glove® products are used by more than 90 percent of PGA and Champions Tour players. 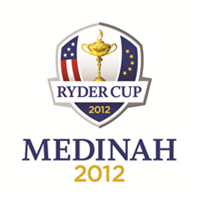 MEDINAH, Ill. (July 30, 2012) – The PGA of America is pleased to announce that general public tickets are now available for the 39th Ryder Cup Gala on September 26, 2012, at the Akoo Theatre in Rosemont, Ill. The Ryder Cup Gala will showcase the 2012 U.S. and European Ryder Cup teams in spectacular fashion and provide the only opportunity for fans to see this talented group of players together outside the grounds of historic Medinah (Ill.) Country Club. The Ryder Cup, golf’s most patriotic and prestigious international team competition, will take place Sept. 25-30 at Medinah. Following red carpet arrivals with this year’s Ryder Cup teams and other celebrities from the sports world, the Gala will include appearances by U.S. Ryder Cup Captain Davis Love III and European Ryder Cup Captain José María Olazábal and world-class entertainment, including music from the Grammy Award®-winning band Chicago. As the first-ever Ambassador for the U.S. Ryder Cup team, Justin Timberlake will also appear at the Gala. Various Windy City icons and other special guests will also be announced prior to the event. The event will begin at 8:30 p.m. CDT, with doors opening at 7:30 p.m. Tickets for the Ryder Cup Gala range in price from $200 to $300 and are available to the general public at Ticketmaster.com or by calling Ticketmaster at (800) 745-3000. The event will be produced by IMG Media. Executive Producers of the gala will be Bob Holmes and Steve Mayer. For more information about the 2012 Ryder Cup, visit http://www.RyderCup.com. The Ryder Cup, among the last great professional sporting events where winning, and not prize money, is its own reward, spans 38 competitions over 84 years. The competition was born in 1927, when enterprising English seed merchant Samuel Ryder commissioned the casting of a gold trophy that bears his name. The U.S. Team defeated Great Britain, 9½ to 2½, in the inaugural matches in Worcester, Mass. The Ryder Cup, recognized as the pre-eminent international team event in golf, has since expanded to involve the finest players of Europe. The United States has posted 25 victories, Great Britain/Europe has won 11 times, and there have been two ties. Europe currently has possession of the Ryder Cup trophy, thanks to a thrilling 14½-13½ victory over the United States in October 2010 in Wales. The 39th Ryder Cup will be held Sept. 25-30 at Medinah (Ill.) Country Club. Chicago is the first American rock band to chart Top 40 albums in five decades. In Billboard Magazine’s list of Top 100 artists of all time, Chicago came in at #13, the highest charting American band. The line-up on tour will include original band members Robert Lamm on keyboards, vocals, Lee Loughnane on trumpet, James Pankow on trombone and Walt Parazaider on woodwinds, as well as Jason Scheff on bass, vocals, Tris Imboden on drums, Keith Howland on guitar, Lou Pardini on keyboards, vocals and Wally Reyes on percussion. Lifetime achievements include a Grammy Award, multiple American Music Awards, a star on the Hollywood Walk of Fame, a Chicago street dedicated in their honor, and keys to and proclamations from an impressive list of US cities. Record sales top the 100,000,000 mark, and include 21 Top 10 singles, 5 consecutive Number One albums, 11 Number One singles and 5 Gold singles. An incredible 25 of their 33 albums have been certified platinum, and the band has a total of 47 gold and platinum awards. Chicago has generously supported other charitable causes in the past. For the 17th straight year, Chicago has donated a portion of ticket sales to the Ara Parseghian Medical Research Foundation, which seeks a cure to the fatal children’s disease, Niemann-Pick Type C. The band also donates an additional portion of ticket sales to help raise money for Hannah & Friends, which works to improve the quality of life for children and adults with special needs. Hannah & Friends is the personal mission of Maura Weis and her husband, Charlie Weis, the current coach at the University of Kansas. IMG Media operates from over 30 international offices and distributes content around the world across all media platforms. IMG Media produces 6,000 hours of programming annually, including the New York City Marathon, The Masters, PGA Championship, ATP/WTZ Tennis, Wimbledon, The British Open Golf Championship, and Premier League Soccer. The events that IMG Media has produced in the past year include NHL All-Star Draft, NHL All-Star Skills Competition, NHL All-Star Pre-Game, Pro-Football Hall of Fame Induction Ceremony, Cartoon Network’s Hall of Game Awards, ING NYC Marathon, New York Giants Pre-Game and Halftime Entertainment, and network specials including Super Bowl’s Greatest Commercials and the Boston Pops Fourth of July Spectacular. World-famous golfer Paula Creamer is now an ambassador for Garia luxury golf and leisure car. Garia, a young and innovative company from Denmark and the manufacturer of the Garia luxury golf and leisure car, has entered into an exciting new partnership with professional golfer Paula Creamer. With the Garia’s unique combination of performance, quality and elegance it is a perfect match for the talented and inspiring Creamer. “The Garia is amazing. I love it! It looks and feels great with some serious get up and go – what a beauty! It’s a fun ride and something that really works for me!” says Paula. “At Garia, we feel our cars truly complement Paula’s strong personality and energy, and embody our shared values such as dedication to performance and passion for the game of golf. We are very proud to have her as a Garia ambassador, and we are confident the car will suit her needs on and off the course,” says Anders Lynge, designer of the Garia. With numerous victories including the 2010 U.S. Women’s Open, Paula is one of the best female golfers of our time. The Garia is created in collaboration with golf professionals and built at one of Europe’s finest automotive factories with a track-record of manufacturing Porsches. The Garia design team has been uncompromising in its efforts to create the best golf car in the world. Luxury features on the Garia include a built-in refrigerator, extra comfortable sport seat and 12” alloy wheels. The Garia is available in various models, including street legal and 4-seater. Garia has built a special golf car for Paula Creamer, with unique customizations in her signature color, pink. Paula has selected her own, completely unique customizations on her new Garia such as the Pink Panther logo seat with pink seat piping, pink golf bag holder straps, and air brushed “PC” initials in pink on each side of the utility box behind the seat. 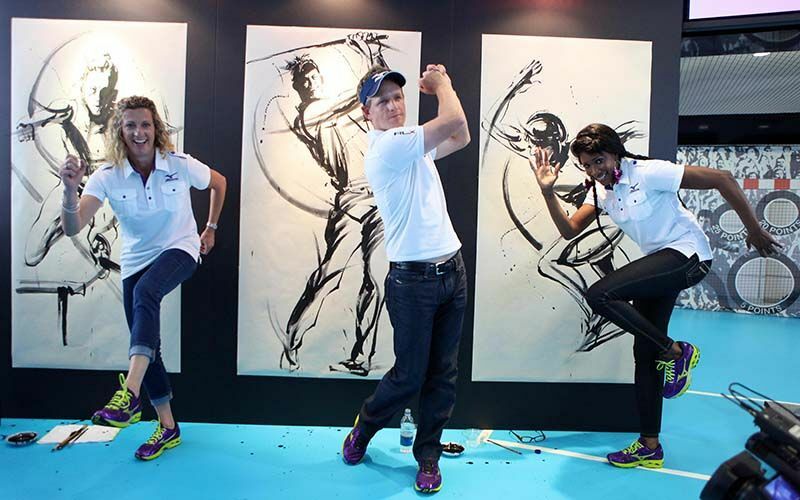 Luke Donald, Sally Gunnell, Dwight Yorke and other leading Mizuno ambassadors today launched the Japanese brands innovative new Performance Centre. Opening at central London’s iconic Centre Point building the pop up experience welcomes both Londoners and city visitors alike through its doors between 24th July and 12th August. To the sound of traditional Japanese drumming, Sky Sports News presenter Charlotte Jackson started proceedings before President of the brand, Akito Mizuno, cut the ceremonial ribbon to officially open the Mizuno Performance Centre. 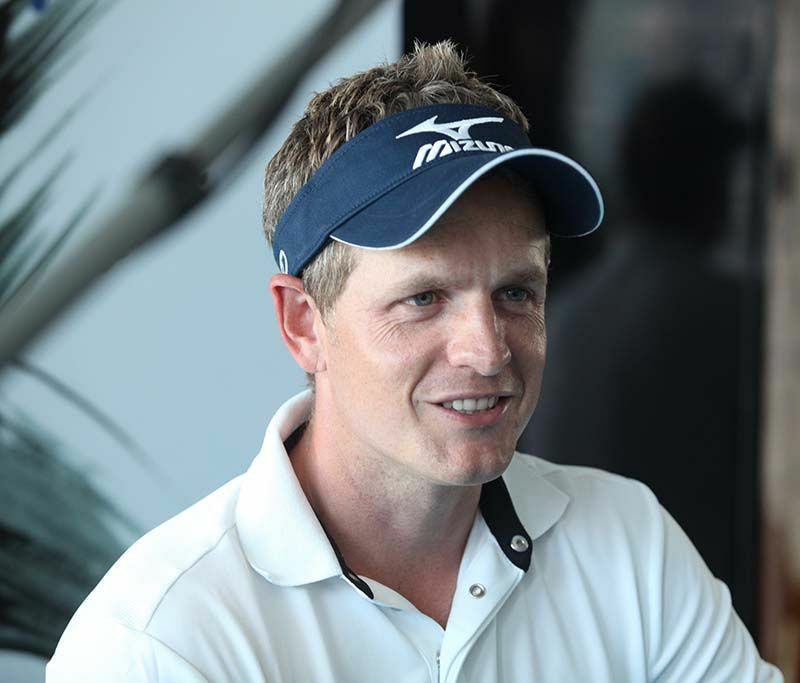 Jackson then hosted a Q&A with the Mizuno ambassadors – Luke Donald, Sally Gunnell, Dwight Yorke, Tasha Danvers, Dan Norton, Simon Wittlin and Heidi Møller – who provided an insight into their own experiences of competing at major competitions. Whilst renowned Japanese brushstroke artist Hidekichi Shigemoto painted bespoke life size pieces which will be on display for the duration of the event. Demonstrating the state of the art activity zone supplied by GlobalGames®Sports, former Manchester United striker Dwight Yorke showed off his skills in the specially made football area whilst renowned England Rugby Sevens speedster Dan Norton went head to head with an augmented reality version of himself on the 20m track. And GB Handball players Simon Wittlin and Heidi Møller let loose on the handball court showing the gathered crowds what the sport can offer. Elsewhere in the specially designed space, visitors took advantage of the free biomechanical running analysis and tried out a variety of Mizuno sports products. sporting athletes this summer. The limited edition footwear range is made up of the renowned Wave Ronin 4, Wave Rider 15, Wave Kudos, Wave Universe 4 running shoes, as well as Volleyball’s Wave Lightning RX and Wave Tornado 7, the Wave Stealth 2 for Handball and the Morelia Neo MD for Football. As a company founded in Osaka by brothers Rihachi and Rizo Mizuno in 1906, Mizuno has evolved from a small shop selling sporting sundries to a worldwide multisport network consistently crafting revolutionary technical goods to improve elite sporting performance. Despite their global growth, Mizuno has stayed loyal to the values and beliefs upon which it was founded and the Performance Centre showcases a wonderful blend of Japanese culture and advanced modern sports technology and innovation. For your opportunity to visit the Mizuno Performance Centre, find out more about what is going on each day and to take part in all of the activities with prizes to be won, register online at http://www.mizunoseiei.com. Additionally on weeknights from 24th July to 12th August the Mizuno Performance Centre is available for free corporate use. For your chance to have exclusive 7pm-10pm access to the space please register atwww.mizunoseiei.com/corporate-hospitality.php. 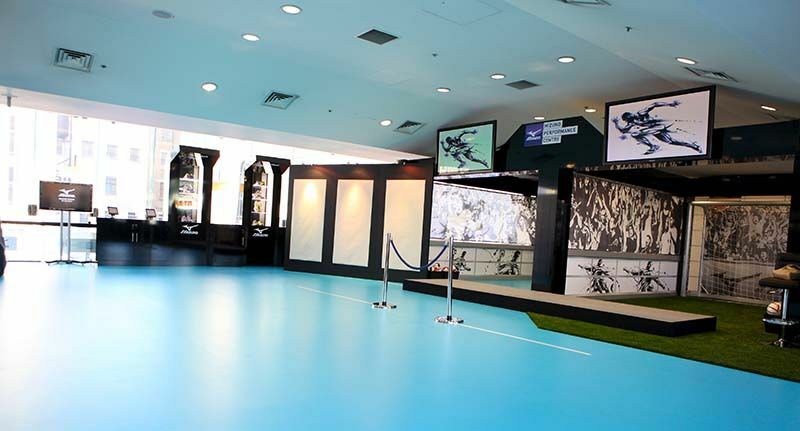 Mizuno Performance Centre, Centre Point Building, 103, New Oxford Street, London, WC1A 1DU http://www.mizunoseiei.com. The Barclays, the first event in the PGA TOUR Playoffs for the FedExCup, will feature 125 of the top players on TOUR, Aug. 21-26 at Bethpage State Park: The Black Course in Farmingdale, N.Y. One of the many charities supported by Barclays “Tickets FORE Charity” campaign is Long Island’s The ELIJA School and Foundation for Children with Autism. Tickets purchased on behalf of the ELIJA School and Foundation result in a 75% donation to the ELIJA School and Foundation! science-based treatments and the principles of Applied Behavior Analysis (ABA), The ELIJA School’s intensive program has been successfully helping families through their journey with autism since 2006. The ELIJA School also provides extensive training programs, advocacy and outreach services for professionals, individuals, their families, teachers and caregivers. PALM BEACH GARDENS, Fla. – Open Champion Ernie Els, who captured his fourth major championship during a stunning chain of events over the closing four holes at Royal Lytham & St. Annes, has become the third player to earn a berth in the 30th PGA Grand Slam of Golf. The 42-year-old Els knocked home a 15-foot birdie putt on the 72nd hole Sunday (July 22) at Royal Lytham & St. Annes in Lancashire, England, to pull within one shot of leader Adam Scott. Els then waited as Scott made a bogie on 17 and missed a par putt on 18 to force a playoff, giving the World Golf Hall of Famer his second Open Championship to go with two U.S. Open titles. Els will join Masters Champion Bubba Watson, U.S. Open Champion Webb Simpson, and next month’s PGA Champion in the PGA Grand Slam of Golf, Oct. 22-24, in Bermuda at Port Royal Golf Course. It will mark Els’ fourth trip to the season-ending showcase event that boasts the most difficult qualification requirement in the game – a major championship. The PGA Grand Slam of Golf will be televised by TNT to a worldwide audience. Els tempered his celebration, paying tribute to Scott. The final member of the foursome for the 30th PGA Grand Slam of Golf will be the winner of the 94th PGA Championship, Aug. 9-12, at The Ocean Course in Kiawah Island, S.C.
TNT’s prime-time broadcast of the event reaches a worldwide audience of 88.9 million U.S. homes and international viewers in more than 100 countries. The PGA Grand Slam of Golf is hosted by the Bermuda Department of Tourism, Port Royal Golf Course, and the Fairmont Southampton Hotel. (GREENVILLE, SC) – KENTWOOL – the 169-year-old, family-owned American textile innovator – announces the addition of an eye-catching orange style to its range of premium performance socks specifically engineered for golfers. Available at http://www.kentwoolsocks.com and leading green grass shops nationwide, the new color will be offered in the Tour Profile model for both sexes and the women’s Low Profile Skinny. Like all KENTWOOL socks, they provide superior moisture wicking, odor control and are backed by a blister-free guarantee. Other colors in the line include black, green, light blue, natural, pink and purple. Crafted from a proprietary blend of fine merino wool and high-tech fibers for superior moisture management, the socks feature WINDspun technology. This infuses the fibers with air, creating a micro-climate system that wicks moisture and provides superior odor control. 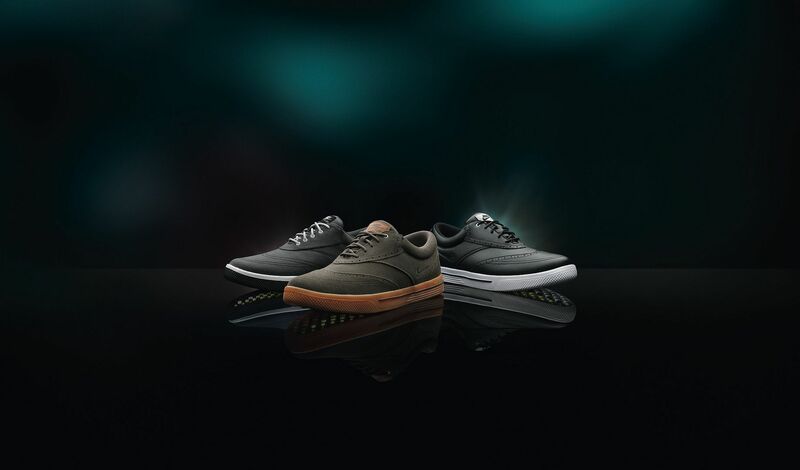 It also provides unrivaled cushioning at micro-stress points along the foot, enhancing comfort and energy levels while reducing injury risk. Retailing from $19.95 to $24.95, KENTWOOL golf socks are available in the ankle-length Tour and Low Profile models for both genders and mid-calf Tour Standard crafted exclusively for men. In addition to Watson, KENTWOOL is worn in competition by scores of Tour stars worldwide, including Matt Kuchar, Jonathan Byrd, Ryann O’Toole, Peter Jacobsen, Duffy Waldorf, Brendon de Jonge, Larry Mize, Tom Gillis, Jane Park, Charles Warren, Kevin Johnson, Kristy McPherson, Shasta Averyhardt, Jenny Suh, Sarah Kemp, Jenny Gleason, Meaghan Francella and Jenny Hong. For more information: http://www.KENTWOOLSocks.com, 1-877-5-PROSOX (1-877-577-6769). Founded in 1843, KENTWOOL continues to be one of the nation’s longest-running, family-owned textile companies. KENTWOOL is the only company in the western hemisphere – and one of 50 in the world – to receive the Usterized Quality Certification indicating the highest level of quality assurance in yarn production. An avid golfer, KENTWOOL CEO Mark Kent had the idea to produce the “World’s Best Golf Sock” after standing in the 18th fairway of the BMW Nationwide Tour Pro-Am tending to blistered, bleeding feet instead of concentrating on the eagle opportunity guaranteeing him a spot in the final round. Born from that moment is golf’s leading, premium merino wool golf sock. It enables golfers of all abilities to play their best while benefiting from abrasion and fatigue resistance, as well as KENTWOOL’s blister-free guarantee. KENTWOOL utilizes its nearly two-century-old heritage of superiority in textiles to create socks which draw upon wool’s natural and cool performance fibers for moisture management, sheer comfort and other performance-enhancing benefits. Based in Greenville, SC, all KENTWOOL products are made in the USA. PALM BEACH GARDENS, Fla.—It’s a golf getaway like no other, as it offers the chance to see golf’s four major winners (The Masters, U.S. Open, Open Championship and PGA Championship) up close in a competition to determine the 2012 PGA Grand Slam of Golf Champion. The PGA of America’s Deluxe VIP PGA Grand Slam Experience package offers a six-night excursion for golf travelers to the beautiful island of Bermuda to play multiple rounds of golf, while getting exclusive access to a season-ending showcase event that boasts the most difficult requirement in the game – a Major Championship victory. The 30th PGA Grand Slam of Golf, which returns to the Port Royal Golf Course in Southampton, Bermuda, Oct. 22-24, has featured past champions such as Tiger Woods, Phil Mickelson and Ernie Els. U.S. Open Champion Webb Simpson joins Masters Champion Bubba Watson to make up the first half of this year’s elite foursome, who will be joined by the winners of the Open Championship, July 19-22, at Royal Lytham & St Annes in Lancashire, England and the 94th PGA Championship, Aug. 9-12, at The Ocean Course in Kiawah Island, S.C.
As part of the excitement surrounding the PGA Grand Slam of Golf and the island of Bermuda, which boasts seven spectacular golf courses, The PGA of America has created a Deluxe VIP PGA Grand Slam Experience golf package. The package features six nights of luxury accommodations at The Fairmont Southampton; breakfast daily; three days admission to the PGA Grand Slam of Golf; daily transfers to/from the hotel to Port Royal and transportation to and from the Bermuda airport. Highlighting this package is exclusive access to the PGA Welcome Reception on Sunday evening, Oct. 21, and an invitation to the exclusive Champions Celebration on Tuesday, Oct. 23, where guests will experience a fireside chat with the Major Champions and then enjoy a spectacular dinner. In addition, the Deluxe VIP PGA Grand Slam Experience package includes one round of golf at Fairmount Southampton Par 3 Golf Course and one round of golf at Port Royal Golf Course on Friday, Oct. 26, where the four Major Champions will battle it out earlier in the week. The package prices, which include tax, range from $1,869 – $2,728 per person, based on double occupancy, length of stay and rounds of golf. Golfers interested in purchasing the getaway packages from The PGA of America can visit http://www.premiergolf.com or call 1-866-260-4409. 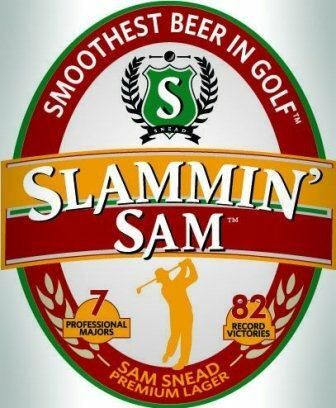 The PGA of America is also offering the PGA Grand Slam Experience package, which includes four nights of accommodations at the Fairmount Southampton; breakfast daily; transportation to and from the Bermuda airport to the Fairmont Southampton; daily general admission tickets to the PGA Grand Slam of Golf; and daily tournament transportation. The package prices, including tax, range from $742 – $1,177 per person, based on double occupancy and length of stay. The PGA Grand Slam of Golf features a $1.35 million purse, with the winner receiving $600,000; second place $300,000; third place $250,000 and fourth place $200,000. TNT’s prime-time broadcast of the event is distributed to a worldwide audience of 500 million viewers in more than 100 countries. Hosted by the Bermuda Department of Tourism, Port Royal Golf Course, and the Fairmont Southampton Hotel, the PGA Grand Slam of Golf was established in 1979 and has grown from an 18-hole, single-day charity event to a 36-hole annual showdown that matches professional golf’s best against each other. BEAVERTON, Ore. (June 28, 2012) – Nike Golf’s non-stop innovation is in full swing as its footwear team continues to thrive on inspiration from Nike Athletes. The most recent idea born from Nike Athlete input is the new men’s Nike Lunar Swingtip shoes that pay homage to the classic wingtip design. Located at NIKE’s World Headquarters in Beaverton, Oregon, Nike Golf designs and markets golf equipment, apparel, balls, footwear, bags and accessories worldwide. Nike Golf is passionately dedicated to ushering in the future of this great sport by developing ground-breaking innovations that enable and inspire athletes to become better. For more information on Nike Golf, visit our Web site at http://www.nikegolf.com. To follow Nike Golf on Twitter visit http://www.twitter.com/nikegolf and to become a fan on Facebook, go to http://www.facebook.com/nikegolf . To view Nike Golf videos subscribe to our You Tube channel at http://www.youtube.com/nikegolf . Editors and journalists in the U.S. seeking editorial information and downloadable images, visit http://www.nikegolf.com/presscenter. For international journalists, please contact Nike Golf’s public relations representative in respective countries for information.